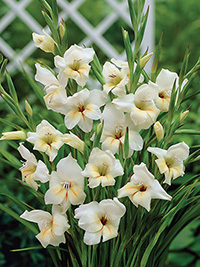 Creamy-white flowers with a slightly darker throat. Absolutely stunning. Late spring flowering, 50-70 cm tall.